Are you one of those lucky people that have been born with a creative flair, excited to try new hairstyles, makeup, and even different shades for your nails? Do you meet someone new and immediately start admiring the shape of their eyebrows, the high cheekbones and the brilliant hues of their most recent hair-do while at the same time imagining all the possibilities of how it could be enhanced? Have you heard of our Marietta, Ohio Cosmetology School? Cosmetology school may be for you. Everyone is always looking for different ways to look their absolute best. When you look good, you feel good, and when you feel good, you display a positive attitude which attracts to others around you. And yet, not all of us are blessed with the ability to improve and take advantage of what we have without enlisting the help of others, namely a professional. What does that mean for a cosmetologist? Well first, it means job security. 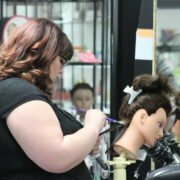 The cosmetology field is booming, with a projected demand continuing to increase per The Bureau of Labor Statistics. Cosmetology school will also help show you the proper techniques for makeup, sanitation, mixing of colors, face shapes, the best way to cut, and many other tips to help bring perfection to your craft. Learning about hair color, haircuts, the proper way to shampoo and makeup application is the heart of what makes being a cosmetologist so exciting, and learning about other areas to help benefit your clients are just as important. Proper skin care and hair care, massages, and how the body works are just a few of the added bonuses that you will learn in cosmetology school. Should I attend a Marietta, Ohio Beauty School? 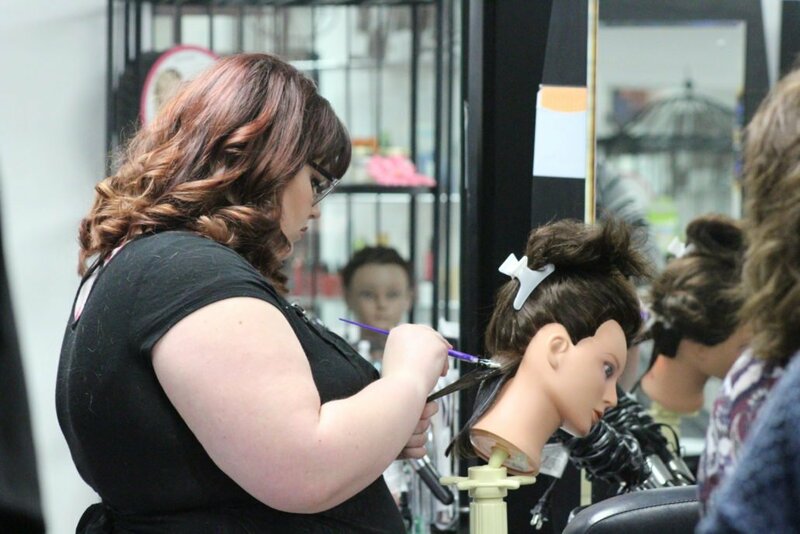 Attending cosmetology school also teaches you the business side, whether your dream is to work for someone else, rent your own chair for a big name salon and spa or go into business yourself. One of the most important aspects is knowing how to market yourself and the products and services that you have to offer. Proper marketing means new clients, new clients mean repeat business and possible referrals too. These are all covered in cosmetology class, too. Do you hear the whisper of the inner artist inside of you wanting to learn more? Are you excited at the thought of being able to help others achieve looks and styles that they may not be able to put together on their own? When you close your eyes and think of your future, could it be that showing others your creative side is exactly what you want to be? The possibilities are endless in what you can accomplish as a cosmetologist. Financial freedom, job security, letting your creative juices flow, doing something that you love every day is something we all dream and hope for. Why not take that step forward and pursue your ideas? Your next great adventure is waiting for you at Preston’s Beauty Academy. Give us a call at our Marietta, Ohio Cosmetology School or contact us online.